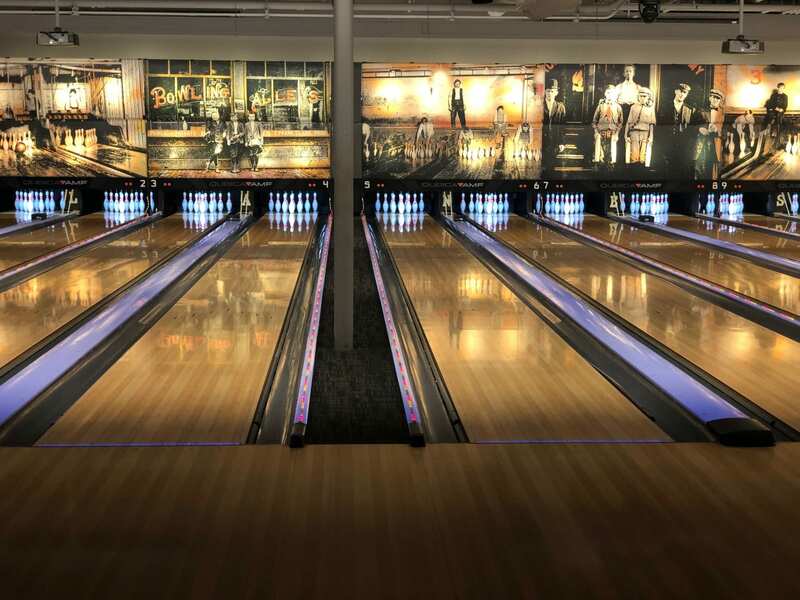 The Lanes Bowl & Bistro, a Boutique Bowling venue developed by Bobby Byrne Management Corp., is an innovative, multi-tiered concept that combines upscale casual dining, bowling, entertainment and events under one roof at the Mashpee Commons. Situated in a section of the old Shaw's Market building fronting Greene Street (and Route 28 beyond), the multipurpose floor plan includes the bistro with space for bands and various entertainment, 10 "ten-pin" Qubica/AMF bowling lanes, and a seasonal outdoor bar, cafe and bocce court. The Lanes Bowl & Bistro is designed to intentionally break some of the stereotypes associated with traditional bowling venues. Absent are the plastic benches and rows of video games associated with old style alleys. Replaced now by comfortable seating, coffee tables and lane-side wait service. "We welcome leagues and clubs to come and enjoy the lanes but our goal is to include a wider spectrum of the community. Everyone should feel comfortable in our establishment."